Liposuction surgery or unwanted fat reduction surgery has become one of the most common cosmetic surgeries not only in Delhi, India but also all over the world. Abdomen or Belly fat reduction is most commonly desired Liposuction Surgery at clinics and hospitals in Delhi. Liposuction surgery Delhi is done by our best cosmetic surgeon in Delhi, expertise in advanced Liposuction procedure which gives optimal client satisfaction. 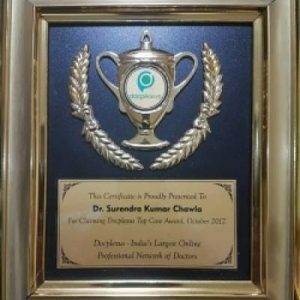 Liposuction procedure done by a qualified Cosmetic Surgeon in Delhi like Dr. S.K Chawla, gives remarkable results and happiness to client after Liposuction Surgery like in South Delhi Cosmetic Clinic. What is meaning of liposuction Surgery? Lipo (fat)+ Suction (Removal by Suction). Liposuction surgery actually refers to a Cosmetic procedures by which Cosmetic Surgeon breaks down fat cell to release fat, which is then extracted or sucked out through a small tube like canula. This canula is inserted into the treated area through a small puncture in skin. So it not only removes the unwanted deposited fat but also reduce overall number of fat cells in the treated area. As you know that, unwanted fat in our body is deposited in fat cells. These fat cells are found in every part of body. Major numbers of fat cells are found below the skin. It has been established by anatomical researches that, number of these fat cells in a person’s body remain constant throughout his life. After liposuction surgery these fat cell are destroyed so fat deposition in that area. Liposuction is not a procedure of choice for weight reduction. Diet, lifestyle changes and exercise are best considered for generalized weight loss. However with the latest ultra refined technique of VASER assisted liposuction surgery your cosmetic surgeon can remove major amount of fat from various body part in different stages. This give a boost to person to further maintain weight and one feel more active and comfortable. So in obese people it is useful to kick start a body contouring program. Fat is lighter in weight in comparison to water. So if 5 liters of fat is removed by liposuction, weight loss after liposuction procedure will be little lesser than 5 kg. Fat removed by liposuction gives you inch loss in that particular area like waist or tummy. What are the common Body areas for Liposuction? Liposuction or Liposculpture in Delhi can be performed on different areas of the body including the outer and inner thighs, knees, hips, arms stomach, buttocks, Chest in man, breast, chin, waist and back simultaneously or in different stages. Most commonly Tummy , Hip, Thigh and Breast are asked by people. 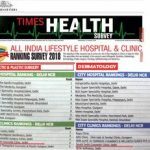 How is Liposuction Surgery in Delhi or Laser Lipo in Delhi done? Before Liposuction in South Delhi Cosmetic Clinic, Surgeon marks the area and fatty deposits to be removed. Then tumescent fluid is injected in the marked site and makes it tense. After 20-25 minutes when he notices desired effect he inserts liposuction cannula through small punctures in skin. Either by cannula or by Laser and Vaser fat cell in desired body area are broken. Cosmetic Surgeon does not disturb your deeper or vital structures. He keeps his cannula below the skin but above the important structures of your body so your vital organs are safe. You are given multiple punctures in skin to get access to your fat . The ruptured fat cells and fat is sucked out by a machine. As you are not given long cuts so there is no ugly scars except few punctures which are in hidden area. How much of Fat removed by Liposuction Surgery? It is a myth that liposuction can remove any amount of fat from body. Ideally 5-10% fat of total body weight is considered as safe limit of fat removed by liposuction. It is considered as safe limit by most of Best Liposuction Surgeon all over the world. If surgeon removes fat beyond this limit, risk of developing complication also increase in same proportion. Our Cosmetic Surgeon in Delhi safely removes approximately 6-8 Liters of fat from one or multiple sites of body. 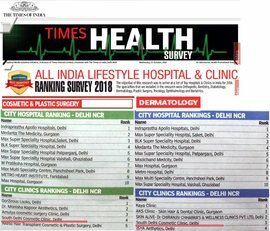 What is Mega-Liposuction in Delhi? Some Liposuction Surgery clinics in Delhi perform mega liposuction and remove fat more than 10 liters in one session. This type of surgery is not considered safe in every person and may lead to multiple and serious complications. In which syringe is used to remove fat. It requires smaller incision so this type of treatment is less invasive and meant for reduction of small fat deposits or gynaecomastia. It is very safe but time consuming technique. Syringe Liposuction is used to harvest fat for fat grafting. In this technique LASER energy is used to breakdown the fat cells after which deposited fat can easily be sucked out from body. It is helpful in removing large amount of fat. Cosmetic Surgeon should be very care careful in using Laser as it may burn skin or deeper structure. 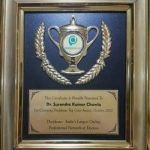 What is Tumescent Liposuction Technique? In Tumescent Liposuction, surgeon injects a special fluid containing various component in the area where liposuction is to be done This fluid help in reducing pain and bleeding. This is most common Liposuction procedure in Delhi. As liposuction is done under anesthesia so you don’t feel any pain during surgery. Depending upon the extent of the procedure, liposuction may be done in local and general anesthesia. If your procedure requires a local anesthesia, it is done at our South Delhi Cosmetic surgery Clinic. You may be able to go home after few hours. In general anesthesia you are completely unconscious and don’t feel any pain. Liposuction surgery of lower body area may be done in spinal anaesthesia in which only lower body becomes numb. If you feel comfortable you may go home in late evening otherwise next day. After surgery you are given analgesics or pain reducing medicines and you feel comfortable. Initially you feel soreness but no pain. After surgery you are advised medications to control your pain, infection and swelling. Initially you may notice some discharge from operated site which stops in couple of days. Dressing is applied to absorb the discharge coming out. You may go home same day or next day. You will also be prescribed pressure garments or support bandages for 8-12 weeks or more. This is made of elastic material. This will help you in the recovery and promote shrinkage of the skin to its underlying tissue. Liposuction is a very rewarding Cosmetic procedure and gives pleasing results. After surgery, you are recommend to move in same evening or from next day onward. You may move around and can perform your routine work. You can resume your office after 5-7 days. You are advised not to undergo any strenuous activity, jogging and gymming for 4-6 weeks after your surgery. Adequate rest helps to improve the recovery. What are the Liposuction Risk or Liposuction side effects associated with Liposuction procedure in Delhi? If done carefully, liposuction is a safe cosmetic surgery. However It is associated with few temporary complications. Main complications are swelling, Bruises in skin and discomfort at operated site. Red colored fluid may come out for 3-4 days from puncture site. You may have collection of fluid beneath skin for couple of weeks which will resolve gradually. Sometime incomplete fat reduction from a particular spot may give you lumps and bumps which may require correction. Arm is most exposed area of body. Arm fat deposit is very resistant to go. You can achieve thin arm by Tumescent liposuction technique. it Is a daycare procedure and does not require hospitalization. This will help you achieving thin shapely arm. Arm fat removal liposuction give women wearing sleeveless garments and make them happy. The results of your liposuction treatment may not be immediately noticeable, as initial swelling and bruising may disguise some of the effects. However, over a short period of time, you will start noticing a slimmer, more toned appearance. Maximum results should be visible within six months. After Liposuction surgery, you visit at South Delhi Cosmetic Clinic in follow ups.Our cosmetic surgeon assess your results and help you in achieving desired results after surgery. Our determination for quality services has established our cosmetic surgeon as a best Cosmetic Surgeon in Delhi.We offer Liposuction surgery in Delhi, Liposculpture in Delhi, Laser Lipo in Delhi at the most affordable Liposuction cost in Delhi. For more information, please contact South Delhi Cosmetic Clinic, and book in for a Liposuction Consultation with proficient Cosmetic Surgeon in Delhi. Our experienced Doctors will be delighted to discuss your goals and will not only advise you but also educate and guide you accordingly.